Hmmm... 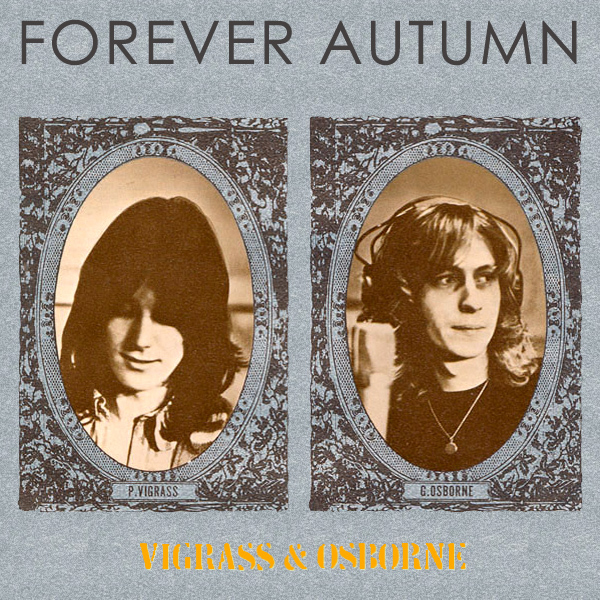 So I've heard the title of the song, Forever Autumn, somewhere, but I don't remember Vigrass and Osborne. Yeah, that's what we thought too. Forever Autumn is a song from the musical War Of The Worlds, which is more closely associated with Justin Heyward. But no, the original was sung by obscure duo Paul and Gary. The original cover shows the duo looking melancholy and musical in a 1970s kind of way. The remix shows... well, look closely and work it out for yourself. Autumnal!